Salvation And Survival: Immanuel: "God With Us"
This weekend Mark and I hosted a mini-conference in which Barbara Bucklin, of Luke 4:18 Ministries, came to speak to a small group of about 30 Christians. Her focus in the morning session was to educate them regarding Freemasonry and its nefariousness, with all the connotations that word evokes: wicked, evil, sinful, iniquitous, egregious, heinous, atrocious, vile, foul, abominable, odious, depraved, monstrous, fiendish, diabolical, unspeakable, despicable; villainous. But that is not the focus of this blog post today. (If you disagree or wonder what all the fuss is about over Freemasonry, I urge you to click on these links and read my extensive posts on the subject, here, here, and here). But today, I actually want to focus on what the afternoon session of our conference was about. First, I need to tell you that this congregation of 30 souls covered a wide spectrum of Believers. Many are struggling to come to terms with their faith because their theology is being rocked by the precepts we have introduced. These include the Gospel of the Kingdom vs. the Gospel of Salvation; introspection of their religious "sacred cows" and Church doctrine; following man-made traditions and rituals vs. following God's commandments in the Bible; and just what the Great Commission is really commanding us to do. Others in this group are cautiously dipping their toe in the water to see how the concepts of Deliverance, Spiritual Warfare, and True Discipleship will affect them in the natural realm. And still others have whole-heartedly accepted Jesus's invitation to partner with Him and the Holy Spirit in taking back territory from the Enemy and setting the captives free. But ALL of them were about to get a glimpse of Immanuel! I'm sure everyone reading this blog is familiar with the story in Matthew where the conception of Jesus was announced to Joseph by an angel who told him that a son would be born who would be called Immanuel - God with us. That is the only place I am aware of in the New Testament that "Immanuel" is mentioned. And while, we Christians in the Western World think Matthew 1:23 is announcing Jesus's name, the purpose of this Scripture is to actually show us that the Lord has been gracious and faithful to send the sign that the prophet Isaiah had foretold in the Old Testament. 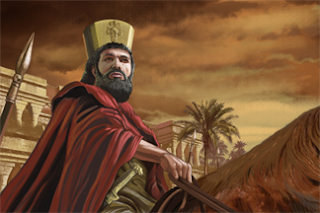 If you will recall in Isaiah, Chapter 7, the ruler of Judah, King Ahaz, was facing a formidable battle against the king of Aram (Syria) and the king of Israel, who had become evil allies in their attempt to capture Jerusalem and defeat Judah. The Lord instructs Isaiah to deliver a message to King Ahaz: "Take care and be calm, do not fear and be weak-hearted because their threats will not stand nor shall it happen ... [But], if you will not believe [and trust in God and His message], be assured that you will not be established." Then the Lord speaks to King Ahaz and tells him to ask for any sign he wants; "[one that will convince you that God has spoken and will keep His word]; make your request as deep as Sheol or as high as heaven". But King Ahaz is afraid to ask, and fears testing the Lord. So, Isaiah, the prophet, steps in and scolds Ahaz for trying his patience, as well as the patience of God. So God has Isaiah relate the sign that He, Himself, will give ... that His promise to deliver His people can be relied upon; that He will be faithful to deliver Judah out of the hands of the enemy, and the virgin will conceive and give birth to a son, and she will call his name Immanuel (God with us). The first thing we need to see is that Immanuel is not merely a name for the baby, Jesus, but is the fulfillment of what God has promised through His prophets ... not only that He will deliver us from the Enemy, but that He will be with us [forever]. And in the literal sense, God certainly was with us on the earth, in the human man, Jesus. He now remains with us, through the indwelling of the Holy Spirit, as Jesus's representative. What does this have to do with our conference this past weekend? I saw this varied body of Believers come into the realization that God can truly be with them! I think our Western minds and culture have nearly erased our ability to fully comprehend this reality in our spirits. But here is how these Believers were able to connect to the Truth of Immanuel ... Barb led them in an exercise that I am going to share with you. I want you to grab a sheet of paper and a pen and just get off to a quiet place by yourselves and partake in the presence of the Lord. Let's get started. The goal of this exercise is to start developing a communication with God; one where you speak to Him and you hear His voice; one where you experience the reality of Immanuel (God is with you). Step One: Gratitude. Write about something for which you are grateful. You might start by writing, Dear God, I am grateful for .... Now, sit for a moment and tune in to your spirit, and listen for God's response to your gratitude. Hear what He has to say about what you're grateful for. Write it down. Step Two: He can see me. Write from God's perspective -- what is He telling you about what He observes in you right now? It might be the physical sensations He sees you feeling, or where you are located. Example: I see you curled up on the couch, pen in hand, and your shoulders are tense. Step Three: He hears me. Write what God is telling you He hears you saying to yourself. Example: You are worried that you won't hear from Him, or that you're struggling to hear Him over the noise of all the things you have buzzing around in your head, OR, it could be that you want more of Him and the Holy Spirit. Step Four: He understands how big this is for me. How does God see your dreams, your blessings, the troubles in your life? Write what He is telling you about those events, and your efforts to communicate with Him in all areas of your life. Example: [God speaking] I want you to know that I care about what matters to you and what you are facing in life. I understand why this exercise might be difficult or intimidating to you, but your desire to honor Me brings Me great pleasure... OR, I know this situation [whatever it might be] is feeling overwhelming and all-consuming, as if you are about to sink, but I know what you desire, and it is My desire to give it to you. Sit quietly for a moment, and listen to what He is telling you about your life circumstances and write it down. Step Five: He is glad to be with me and treat my weaknesses tenderly. Listen for God's voice and write down what He is telling you about His desires to participate in your life; how He wants to be a part of every area of your life. Example: I delight in seeing your growth, and I will lovingly correct the areas that need work, so that you come into full relationship with me. Step Six: He can do something about what I'm going through. Listen for God to tell you how He will help you navigate the situations you are facing. Example: I will strengthen you in those times you feel week. Just turn to me for rest and refreshing, OR, I give you My peace of knowing you are growing into My image. I give you patience to enjoy (find joy) in the process. The whole point of this exercise is to learn to interact with Immanuel (God with us) in a way that you are in His presence constantly. This exercise is a meaningful way to renew our minds and hearts to hear the voice of God during the painful experiences of this life. When we can appreciate God's presence [and hear His voice] in the moments we focus on what we're grateful for, we can then learn to hear His voice in those painful circumstances, and learn not to be stuck in the negativeness of our own voice. We can learn to stay seated at the top of the hill, [in His presence], and not at the bottom of the hill, [in our own head]. By experiencing Immanuel, we can learn to ask questions of God and actually hear His solutions! If there are painful memories that need cleansed and purged, the presence of God/Jesus will take the lead and clear a path for you to make the decisions and choices you need to make, or actions you need to take. The important thing is to learn to interact with God and seek His voice. I will tell you that I saw breakthroughs among those 30 precious people who stepped outside of their comfort zones to attend this conference. Yes, there were those who totally disengaged and shut down, not even attempting to allow God to be with them. But there were those who were willing to seek Him and experience His presence. They heard His voice, perhaps for the first time, and it was not unlike this precious deaf baby hearing her mother's voice for the first time. Watch the emotion on her face when she hears those words we all long to hear from the Father, "I love you". The conference attendees left that meeting place at the end of the day; some with tears, some with smiles on their faces, and some with a lighter step than when they entered. Seeds were planted that I know the Holy Spirit will water! 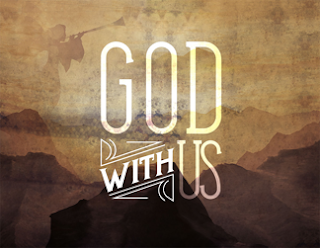 God was with us, and Immanuel is what He wants to experience with you, too. It is the intimacy that all mankind desires. Just take that first step, and He will answer. Both He and I promise you that! Zephaniah 3:17 "The Lord your God is in your midst, a mighty one who will save; He will rejoice over you with gladness; He will quiet you by his love; He will exult over you with loud singing." I just tried to do this exercise...and feel like I'm failing miserably. Most days I have an almost constant dialogue with Him, yet right now when I want to hear His voice I can't seem to find Him. I thought I could just push through and would get it, but the harder I try the farther away from Him I feel. Any advice? The first thing I would ask you is this ... since you have had no problem in the past hearing from Him, is it possible that you are seeking a particular answer that you want? You may not be able to hear from God because He is going to wait you out until you are ready to actually listen to what He has to say. If that is not the case, and you have tried this exercise a couple of times and still can't hear God, then I would suggest just sitting by yourself, express that you want to hear from Him, and if nothing comes, then express your appreciation and gratitude for the times you DID hear from Him. Share your memories of the things He has done for you, and tell Him that you won't stop trying to communicate and be in relationship with Him. Feel the peace and the joy that comes from speaking of those memories. I would expect that you will get some kind of response. Then continue that conversation, eventually approaching the same items in the exercise. Let me know if this helps.